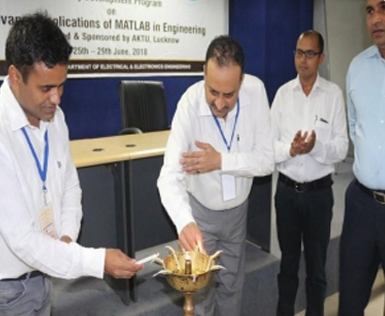 It is my proud privilege to notify you that department of Electrical & Electronics Engineering, GL BAJAJ Institute of Technology & Management, Greater Noida has organized a five days (25th -29th June 2018) faculty development program on Advance Application of MATLAB in Engineering sponsored by AKTU under the Scheme of Technical Education Quality Improvement Program Phase-III. 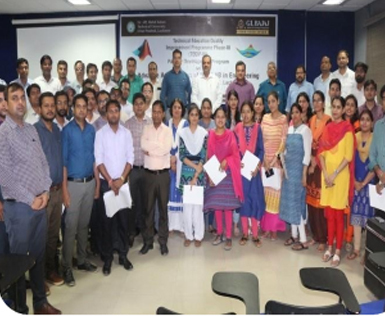 Faculty from different department of GLBITM and from different institutions have participated in the program. Various interesting lectures and practical session were performed by the speakers, which were interactive and memorable.